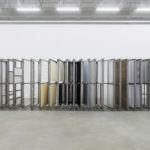 Pivô presents The real world does not take flight in its Annual Exhibitions Programme. 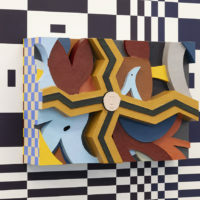 This is the first solo show in Brazil by Mexican artist Rodrigo Hernández and is the outcome of a two months residency at Pivô, where the artist developed cardboard sculptures and an installation directly in the exhibition space. 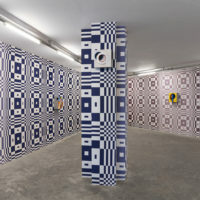 The title is appropriated from the first verse of Polish poet Wislawa Szymborska’s poem “The real world”. 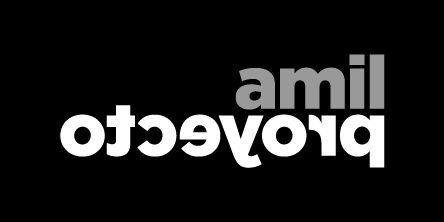 Szymborska was a Nobel Prize in literature and her main subjects are the daily life, history and nature articulated in a colloquial language of powerful poetic effect. 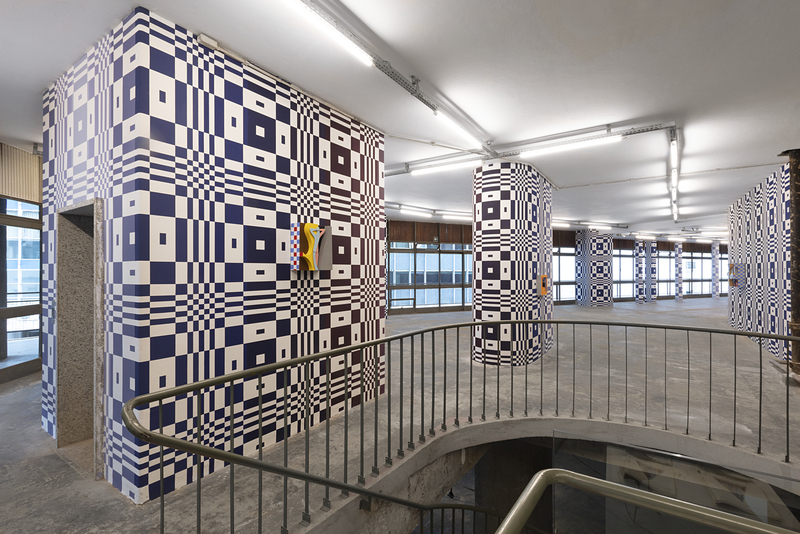 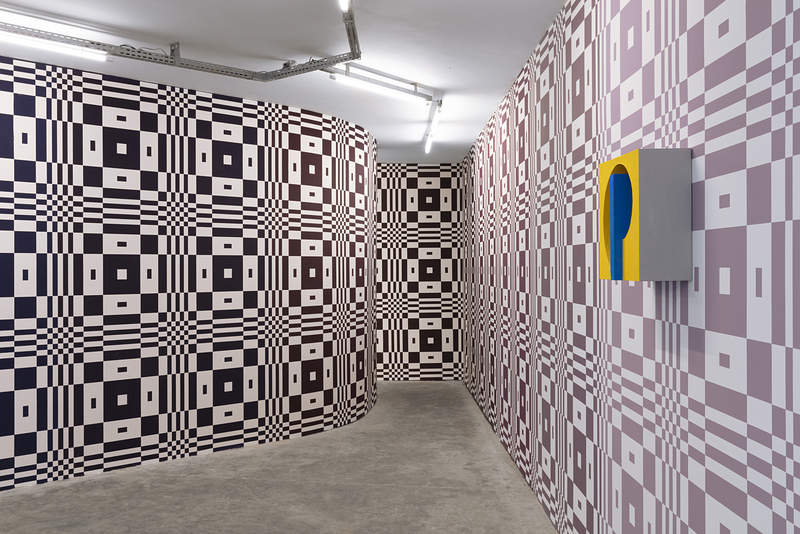 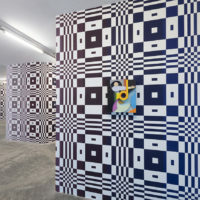 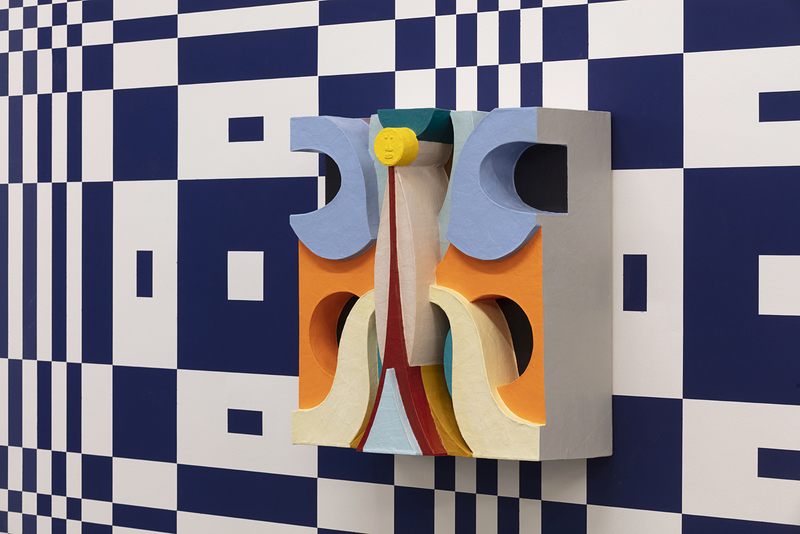 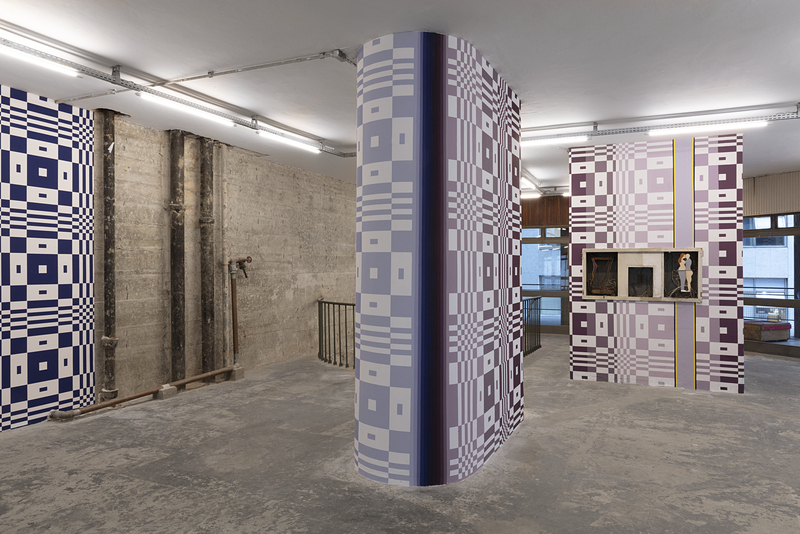 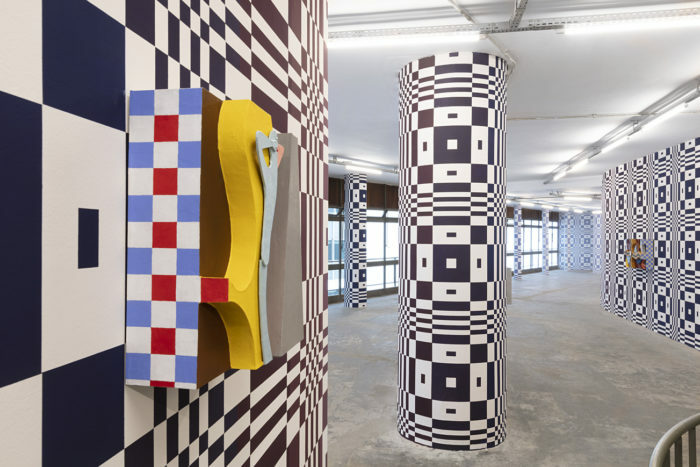 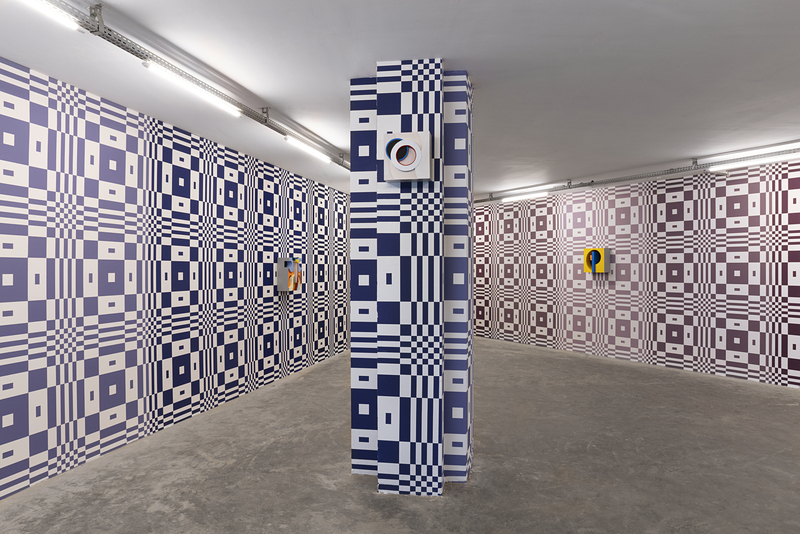 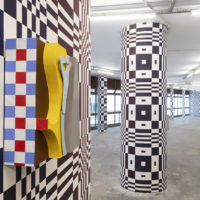 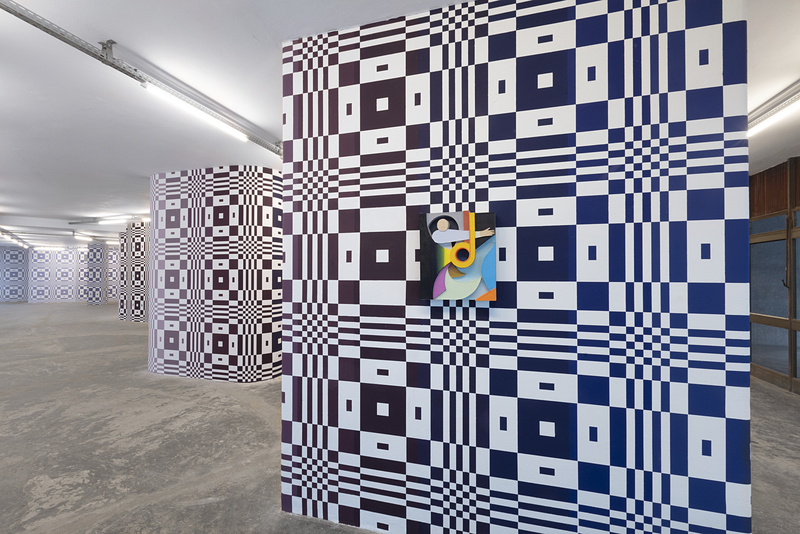 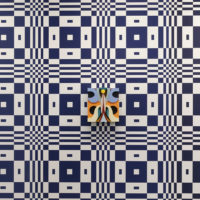 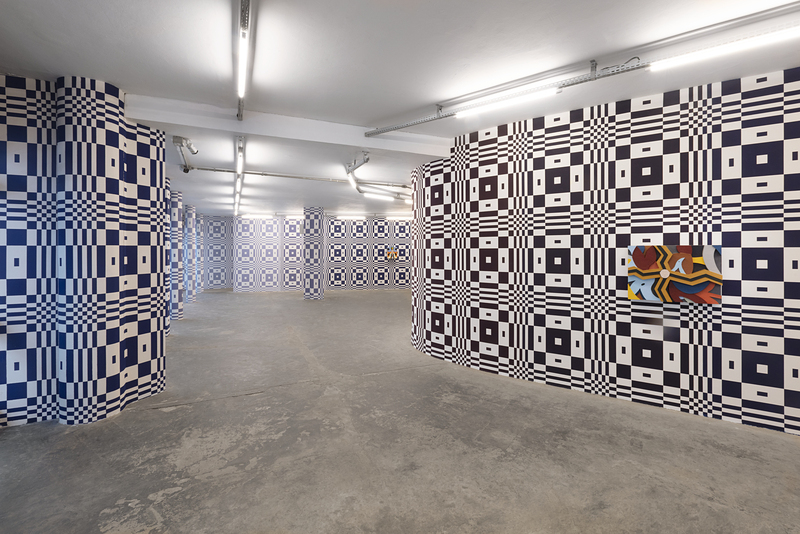 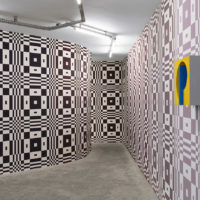 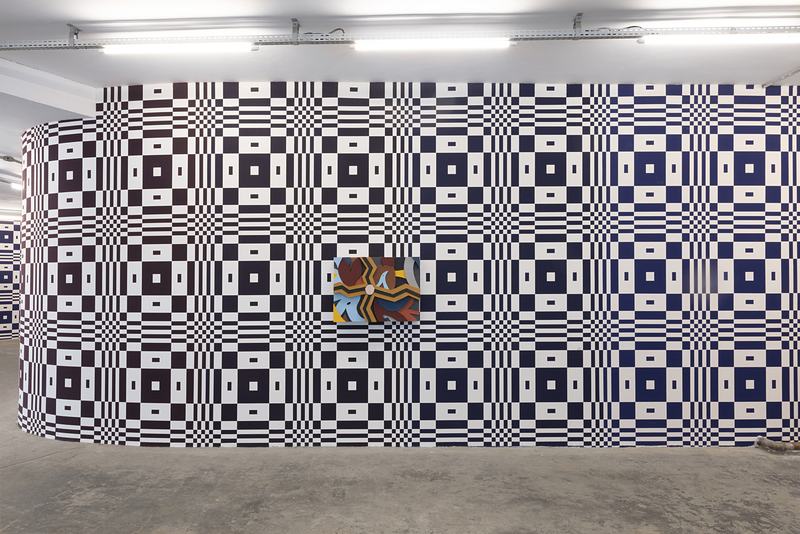 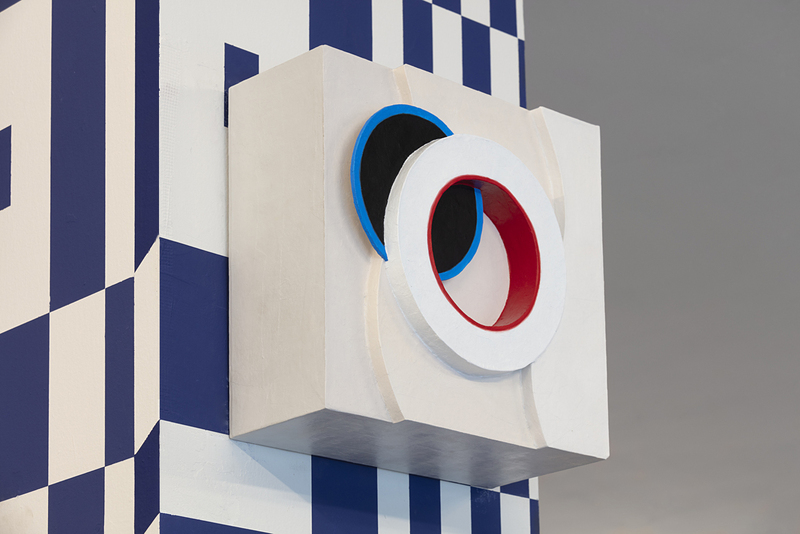 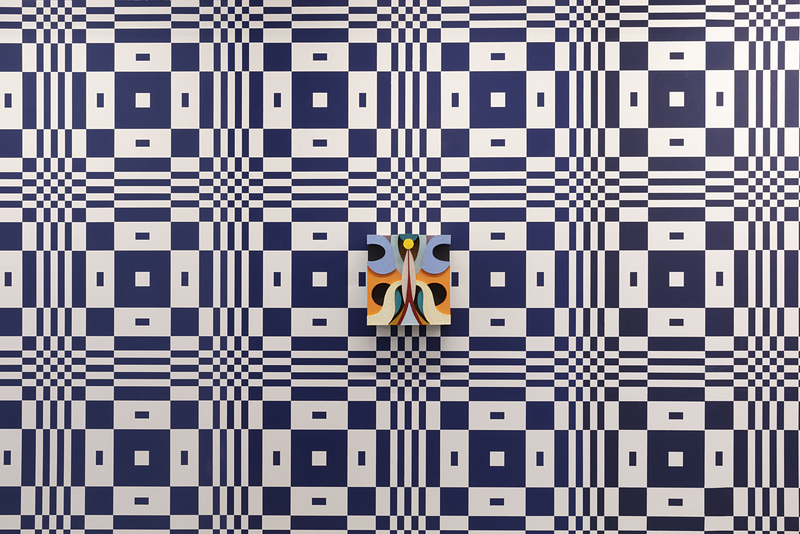 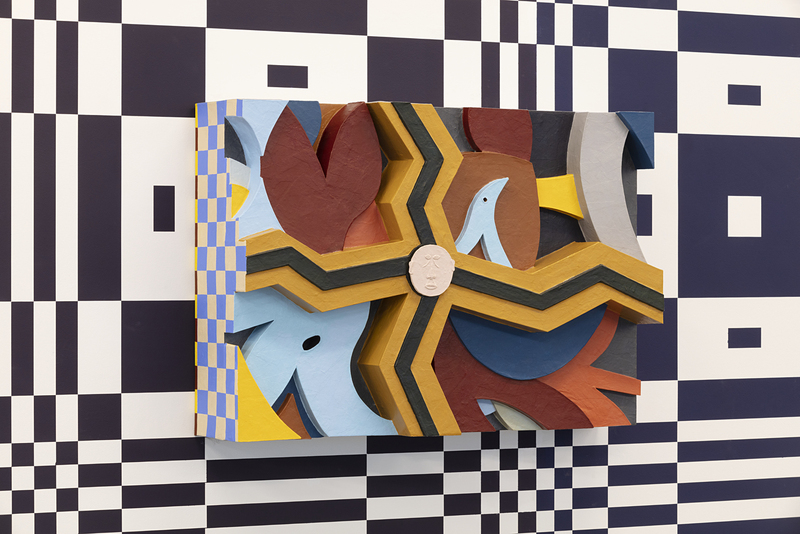 Hernández departures from the relation between dream and reality suggested in the poem to create an immersive environment where geometric patterns painted on walls relate to the shapes of sculptures hanging on it, so painted forms and tridimensional reliefs correspond to each other. 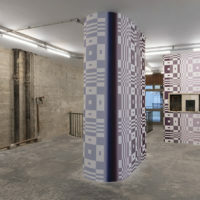 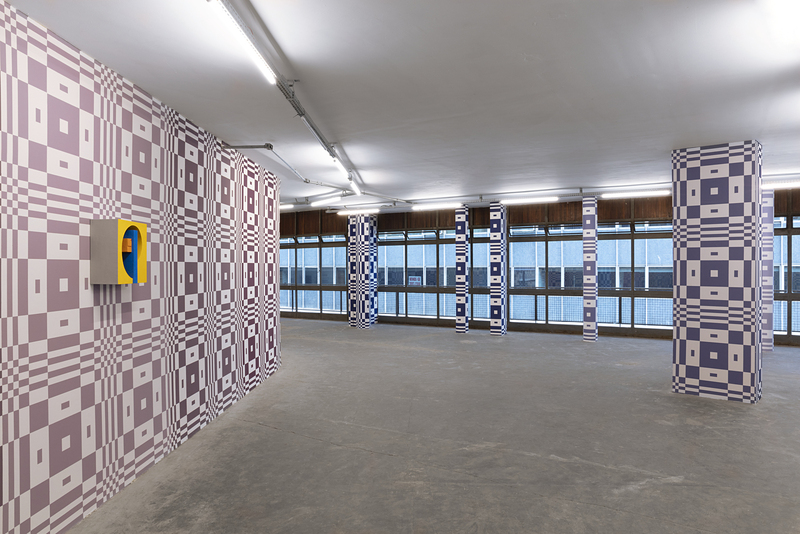 The artist departures from the singularity of the architecture of the exhibition space to create a large-scale wall painting based on geometric patterns used in fashion and 60-70’s Op art, recovering the space with color gradients that generate an atmospheric environment. 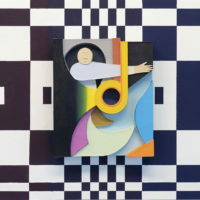 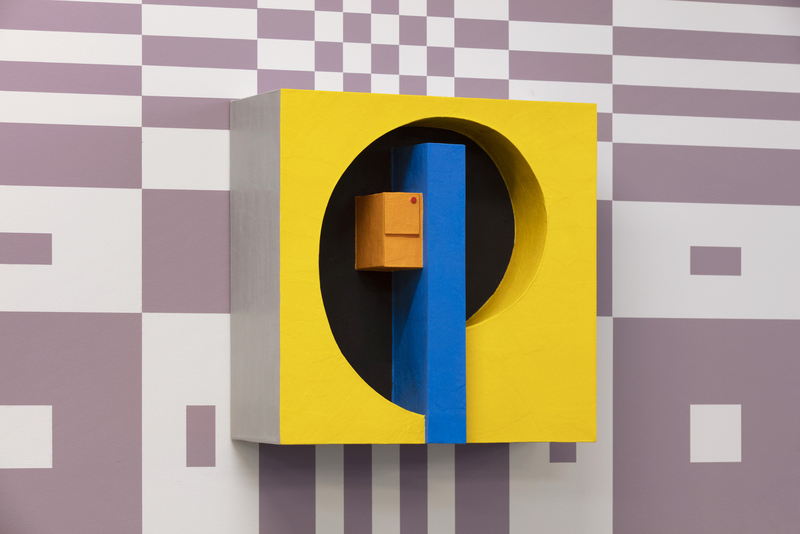 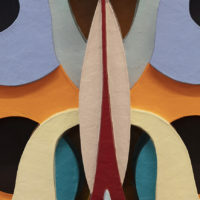 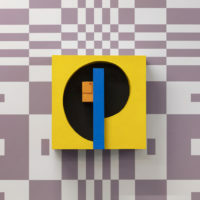 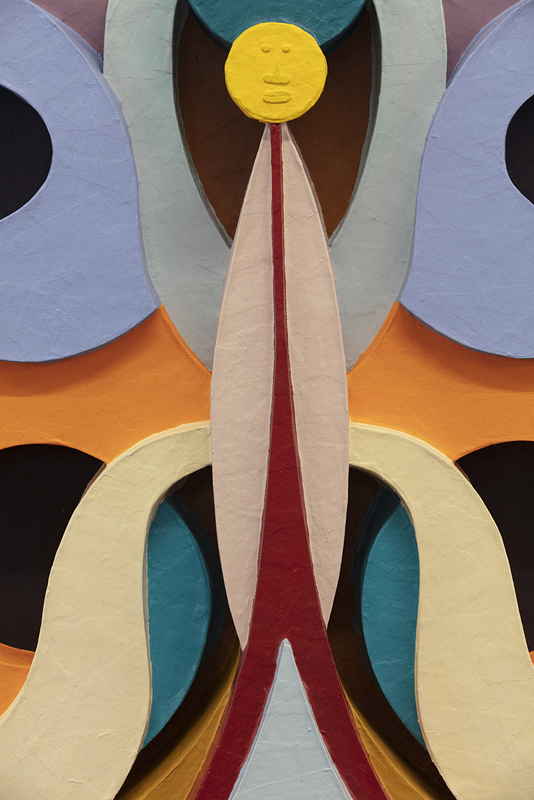 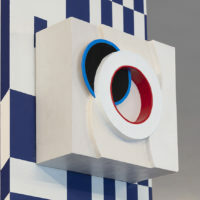 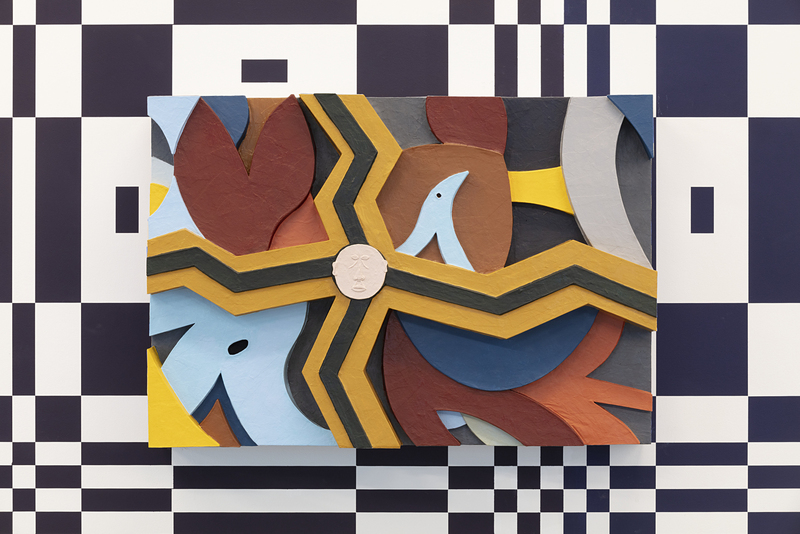 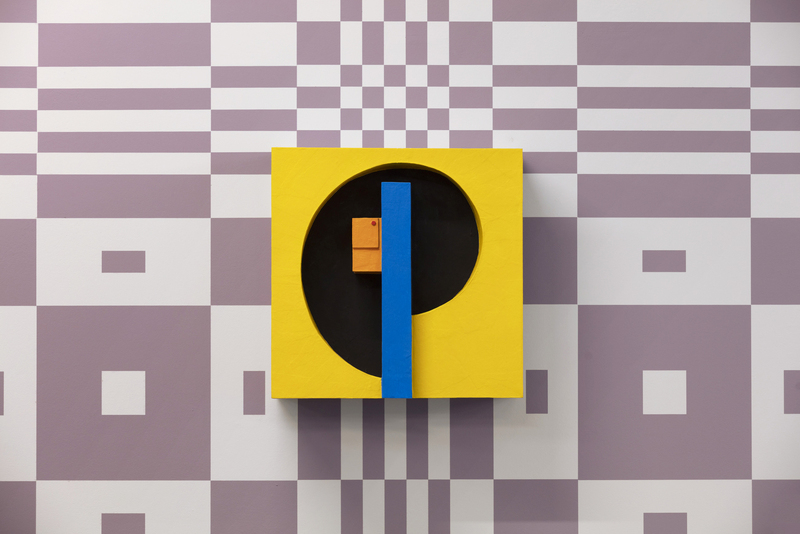 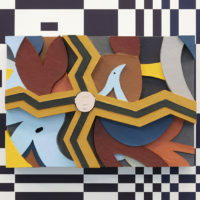 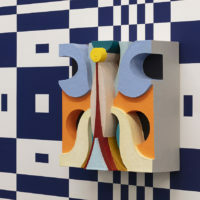 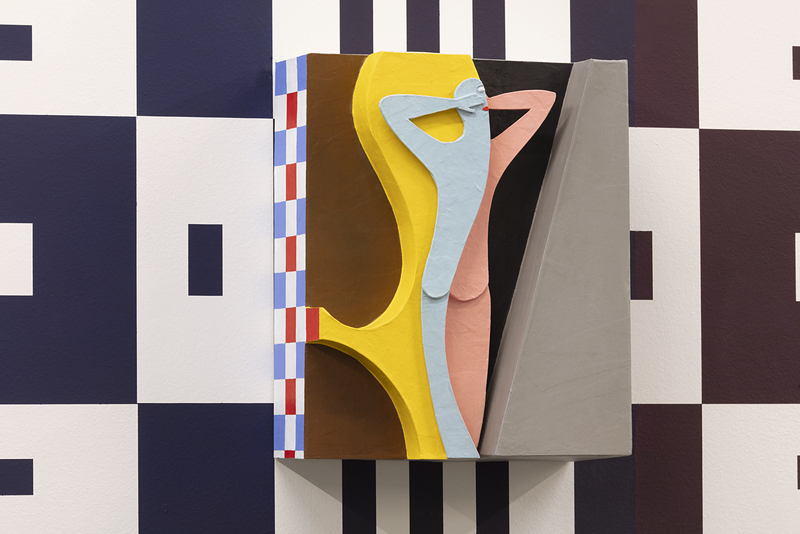 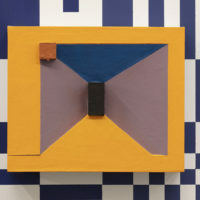 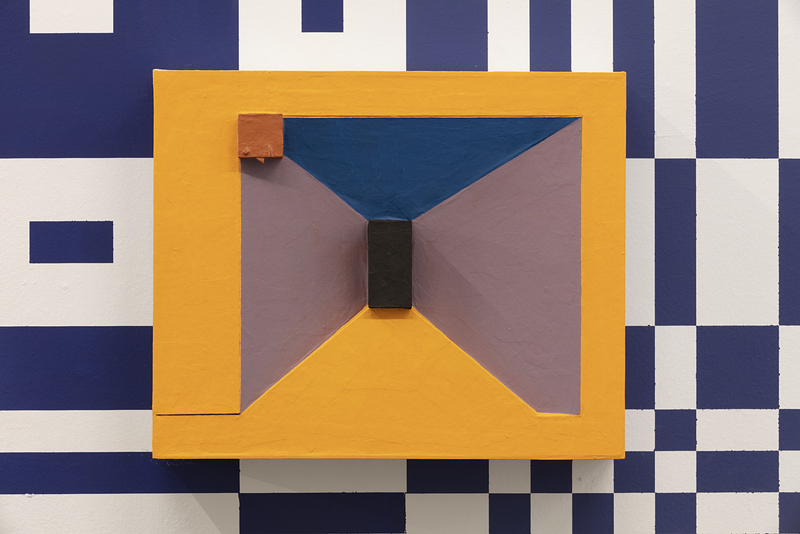 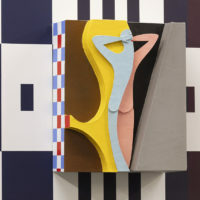 Cardboard objects—between tridimensional paintings and wall sculptures—are presented in the areas of color transition. 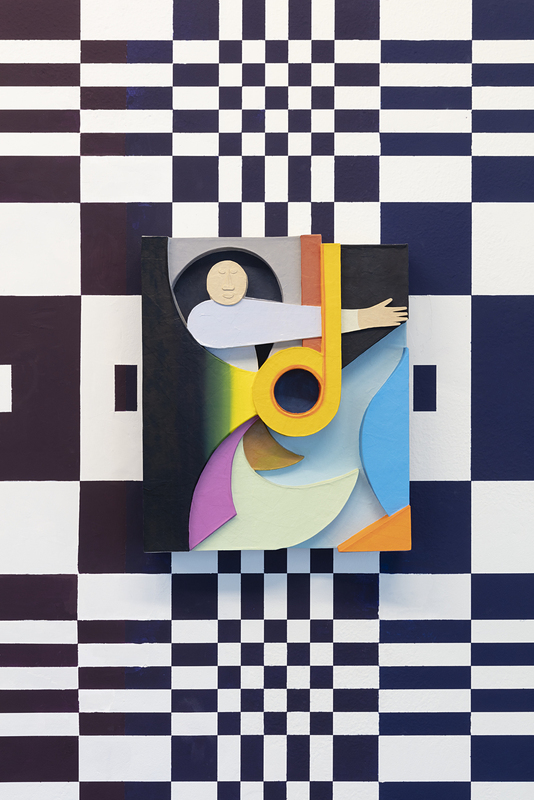 Hernández plays with geometric and organic shapes overlapping one another, puzzling the relations between “background” and “figure”. 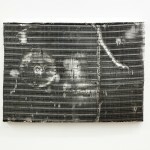 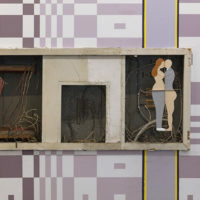 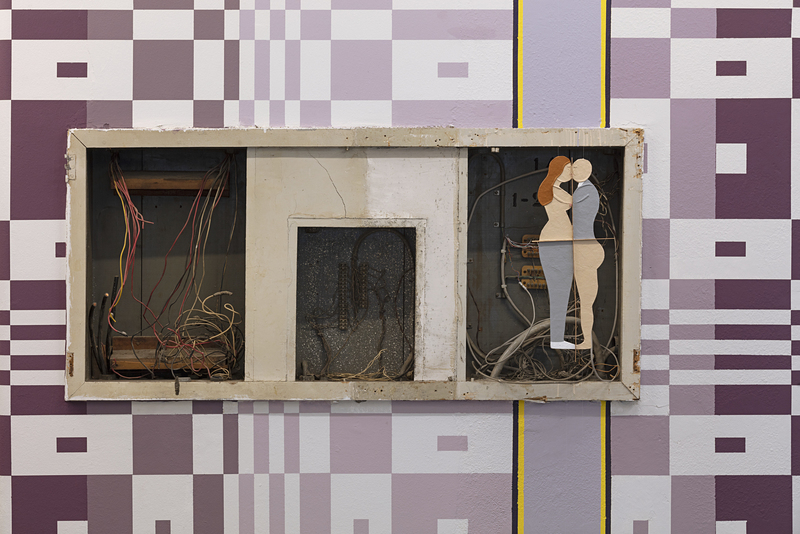 Working mostly with classical medias and techniques of art making, including drawing, sculpture and painting, Hernández is interested in the constitutive movement of art and image making, from Meso-American iconography to contemporary art. 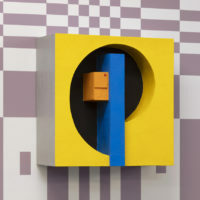 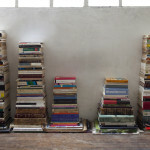 His projects vary from object-making within a devoted studio practice to site-specific and research oriented projects. 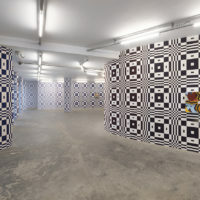 He draws on a number of aesthetic references, which range classical Japanese printmaking to fashion, and European modernism, among others, to develop a very personal formal vocabulary. 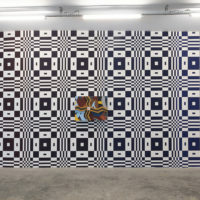 After his period at Pivô, the artist goes for a residency at InclusArtiz, in Rio de Janeiro, where he deepens in the development of his theoretical research about traditional craftsmanship with wood, objects of ritual function, as well as a study about local fauna and flora. 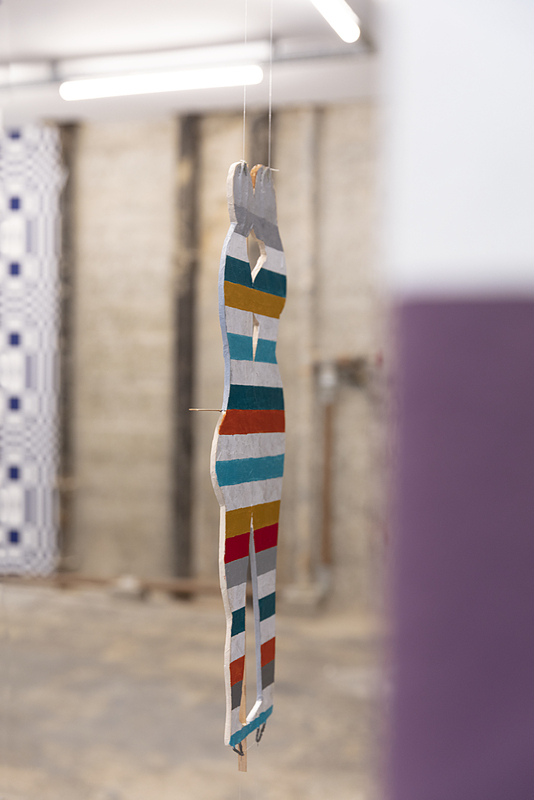 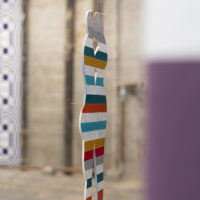 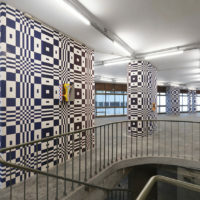 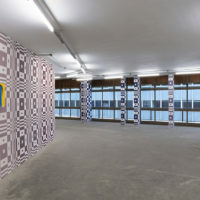 The Annual Exhibition Programme promotes the work of artists in mid-career stage and of different nationalities, offering visitors a comprehensive overview of recent contemporary production both local and international, while critically reflecting on a diverse range of artistic interests and cultures.